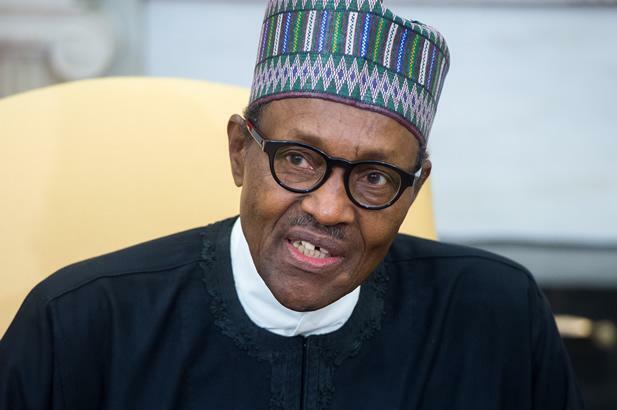 President Muhammadu Buhari has said only evil-minded people could accuse him of condoning killings across the country. Buhari reiterated that no one, in their right minds, would suggest that he, who emerged president with substantial votes from the affected areas, could do any harm to the same people. The president said this when he met with members of the Christian Association of Nigeria (CAN), from the 19 northern states and the Federal Capital Territory, Abuja, at the Presidential Villa, Abuja, yesterday. Buhari reiterated that killings did not start with his administration but he is doing everything to end it. “When some (people), for clearly political purposes, attempt to suggest that this government is doing nothing about the killings, and that I, being Fulani, must be encouraging these satanic acts, it seems to me that there is no limit to the evil in the minds of men. Otherwise, how can anyone in their right minds suggest that I, as an elected president, even with substantial votes in the affected areas, will for any reason do harm by an act of omission to those same people? “Indeed, in 2001, you may recall that, after thousands were killed in Plateau state, a state of emergency was declared and a governor was replaced by an administrator. and wicked acts to ensure that all the culprits are brought to justice…” he said. Earlier, Chairman of CAN in the northern states, Rev. Yakubu Pam, on behalf of the delegation, urged the president to give country’s security architecture a new lease of life and responsiveness to earn the required trust, confidence, and support of the general populace. The cleric urged him to ensure that all communities ravaged by the herdsmen violence in the North are rebuilt and adequate security be put in place to enable displaced persons to return to their homes and means of livelihood. It is Sword to Sword to finish in Sokoto- the sit of the satan of this natives territory, the last bastion of fulani fraudulent criminal sultanate political government with its emirates under the dead fraudulent political name Nigeria controlled by British bandits and fraudulent criminal America with their fraudulent criminal UN of 20th century world international order. It is judgment day. God given Victory is the natives. Only the Sword decides. God Is With Us!!! AFTER KILLING THE BIAFRANS BY THE NIGERIA PHYTON DANCE ARMY NOW THE DEMONIC HERDSMEN ARE KILLING THE INNOCENT CHRISTIANS IN THE COUNTRY BECAUSE THEY WANT TO OCCUPY A LAND OF ANOTHER STATES THAT DID NOT BELONG TO THEM. OBASANJO NEVER ALLOW THESE KIND OF NONSENSE LIKE HERDSMEN AND BOKOHARAM. AS A FULANI MAN YOU SUPPOSE TO KNOW THOSE BEHIND THE KILLING AND THOSE HERDSMEN MASSACRING THE PEOPLE TO DEATH LIKE GOODLUCK DID TO CALL THE NIGER DELTA MILITANTS TO ORDER. CHILDREN OF GOD ARE BEING MASSACRING EVERYDAY LONG IN THE NAME OF ONE NIGERIA. SINCE NIGERIA AMALGAMATED, UNITED NORTH AND SOUNTHERN NIGERIA THERE HAS BEEN EXCESSIVE KILLING OF THE PEOPLE BY THE NIGERIA MILITARY GOVERNMENT AND THEIR POLICE AND CURRENTLY ARMY AND HERDSMEN AND BOKOHARAM YET THEY ARE STILL FORCING US TO ACCEPT ONE NIGERIA IN ORDER TO BE LOOTING ALL THE NATIONAL FUNDS AND MURDER THE INNOCENT LIVES OF THE PEOPLE MAINLY CHRISTIAN AND NONE SUNI ISLAM. GOD WILL NEVER LET YOU ALL GO UNPUNISHED LIKE HE KILLED PHEROU AND HIS BEST OFFICIALS SO SHALL IT BE IN NIGERIA AND EVERY OTHER PLACES THEY ARE KILLING THE CHRISTIANS IN THE NAME OF JESUS. WE HAVE PRAYED A LOT AND IT IS TIME WE PRAY TO GOD TO GIVE US POWER AND STRENGHT TO FIGHT BACK. THEY HAVE PUSHED US TO THE WALL OF DEATH IN ORDER TO ENABLE US DEFEND OURSELVES OR ELSE THEY WILL ONE DAY WIPE US OUT IN ACCORDANCE WITH ISLAMIC SUNI AGENDA.